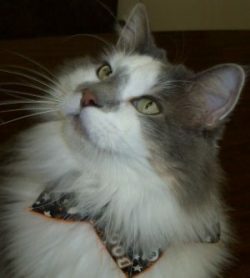 Winterset Veterinary Center was established in 1981 as a mixed animal practice. We are dedicated to meeting the needs of our clients and their animals no matter what size or shape they are. The doctors and staff are committed to providing the best service and veterinary care possible to maintain long term client/patient relationships. We offer veterinary services for all large and small animals both on the farm and in the clinic. For your convenience we also offer boarding and grooming year round. Our goal is to get to know each of our clients and their pets/animals and extend to them the same care and compassion we would want for ourselves. 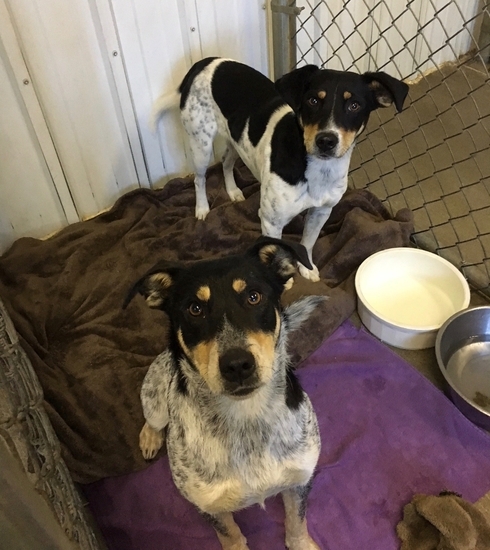 They have been taken to AHeinz57 for foster care until they can find their forever homes. Check out our online store for all your flea & tick supplies and heartworm preventative. 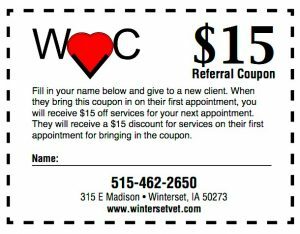 If there's a deal to be had at Winterset Veterinary Center, you'll find it here! CareCredit offers veterinary financing to help keep your most cherished family members in top shape.